Time will tell how truly useful this will be and at what cost. The benefits of having readily available refrigeration for vaccines alone could be priceless. DesignBoom.com mentions each unit can purify up to 800 liters of water per day (or about 211 gallons). 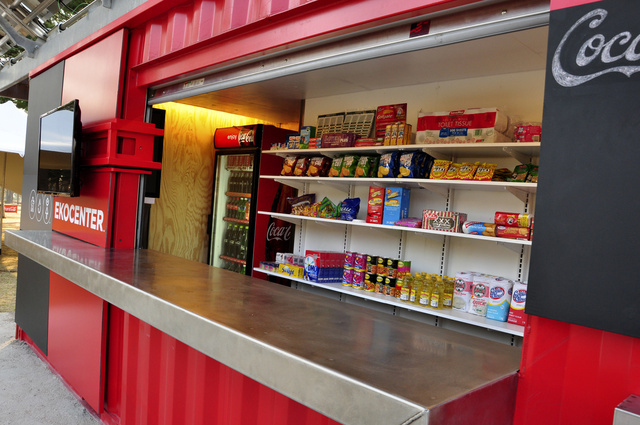 Coca-Cola’s global distribution channels are so well-developed that a Coke can get pretty much anywhere on the planet—even places where there’s no access to fresh water. But Coke is working on that, too. As part of its mission to bring drinking water to the communities it serves, the company has developed a solar-powered, Wi-Fi-equipped kiosk with a water purification system—and it plans to drop them in 20 countries by 2015. 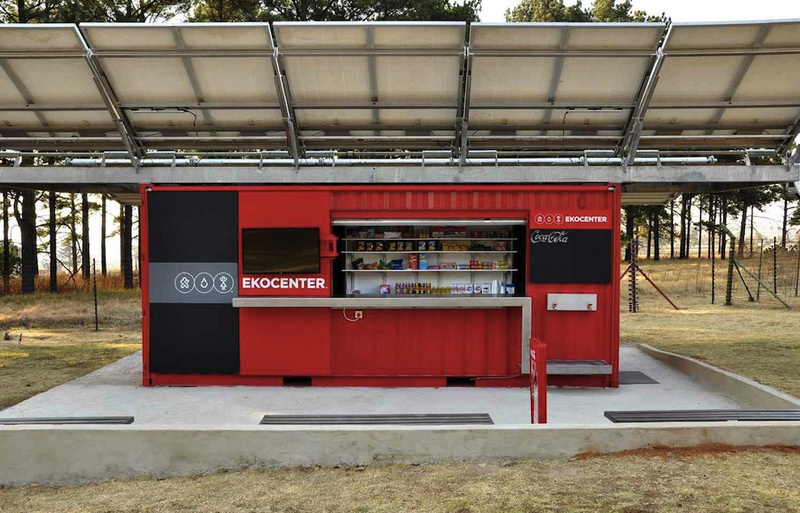 The EKOCENTER, as it’s called, is a modified shipping container outfitted with satellite communications and a Slingshot water distiller designed by Dean Kamen (yes, of Segway fame; there’s a long list of other partners that include IBM and UPS). The solar panels on the roof not only power the purification system and the Wi-Fi, they also act as a shelter from the sun. 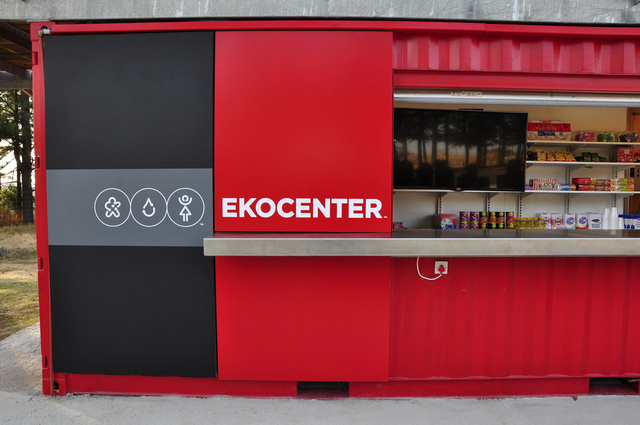 In addition, each EKOCENTER may provide “basic necessities” like food, refrigerated vaccination storage and health education. The images here are from a pilot program currently up and running in Heidelberg, South Africa, and there should be at least one more installed by the end of 2013. They estimate that they could provide access to safe water to 500,000 people by 2015. The big idea here is that improved access to basic needs plus Wi-Fi can spur economic development. In fact, this is part of another one of their grand plans: The 5by20 program (so many programs, Coke!) to empower five million women entrepreneurs by 2020 (so many goals, Coke!). Okay, perhaps, yes—giving people Wi-Fi could help them to accept payments for their business or take classes or get a loan or something like that. At the very least, you’d hope these things had tons of outlets so they could serve as a charging station for mobile phones. But a “downtown”? Um, no. Maybe a library. But even then, it lacks the basic infrastructure (SEATING) and amenities of a true community center. Perhaps it’s up to the local residents to build these things, but to suggest that they don’t already have their own economic hubs and/or public plazas is insulting. Of course they do.